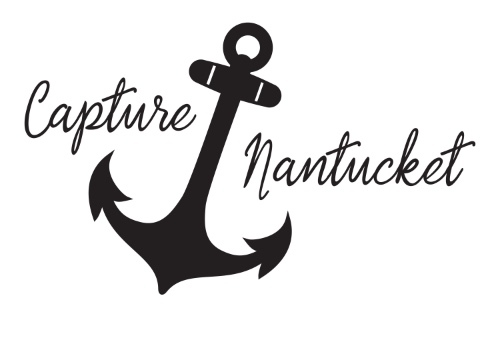 "Capture Nantucket was the best part of our visit to the island. Our experience was fantastic in all respects. I received prompt, friendly professional E-mail responses from Eleanor to set up our tour. Bill was our guide. He was extremely flexible, had a great knowledge of the island and photography, which he used to give us an exceptional tour of Nantucket. It really was the highlight of our stay." "I emailed Eleanor late in the evening to see about a tour for the next day. By the next morning at 10:30, we were on our way to see Nantucket! She was able to offer us a tour that met our time constraints and still let us see some of the main highlights of Nantucket — and some of the hidden gems that we would have missed on our own. Along the way, she gave us some great tips for using our camera (and iPhone) and even loaned me her lens/filter for the rest of our tour. Couldn't have asked for a better experience nor a more enjoyable and friendly tour guide." "Nantucket in a nutshell: From the time Bill Hoenk met us at the ferry until we sailed away we enjoyed one of the best tours we have ever experienced. This all inclusive tour was well worth the money and more. He drove us around the island with snacks and refreshments furnished, focusing on what we said wanted to see. By talking with us along the way he determined in addition what would best appeal to us and made it happen. Most of all he took us to sights few tourists see leisurely, walking with us, giving expert narrative. Other tour buses passed us by in a rush without giving the tourists an opportunity to get out of their van. We learned of many facts and saw oddities that we would not have on an ordinary tour. We were able to take quality photos with the guidance of an expert photographer who loves Nantucket. Thanks Bill for sharing your beautiful island with us and treating us like royal family." "Our tour with Bill was fantastic. He took us all around the island and managed to impress my usually un-impressable tween. Having been to the island myself many times but with my son who had never been I was concerned we would not agree on shooting locations but we did it all from Brant Point to ‘Sconset and even had time to learn a photo taking app to improve our shots. It was very professional and a great few hours time and money well spent!" "What a wonderful time with Eleanor exploring a beautiful part of Nantucket. She was terrific in helping us find beautiful things to take pictures with our I phone. Then she was very helpful in showing us how to apply the program to enhance our pictures. It was a terrific time learning about a new part of the island and enjoying editing my pictures with the knowledge I learned." "My friend and I went on a tour with Eleanor on a day that was grey and overcast. We were hoping for better weather but that did not matter; Eleanor took us to some fantastic sights and we got great pictures! I have an IPhone 7 and Eleanor showed me a few of the features on it to take better photos. We toured the Siasonsset cottage area and visited Sankaty Lighthouse. I would recommend this tour to anyone who loves to take photos and wants to see more of the island than just the downtown." "We were first time visitors to the island and very fortunate to have found Eleanor. She was responsive, friendly and helpful every step of the way. From my first email inquiry she promptly responded (via both phone and email) and provided a lot of very useful guidance in pre trip planning before we even arrived. She picked us up promptly at the ferry, brought water and snacks for our group (2 young teens amongst us were particularly grateful for that) and proceeded to show us all the most notable island "hot spots," photo ops, points of historic interest, etc. She is relaxed and easy to talk with and it was a fun and engaging tour. We also left with plenty of recommendations for restaurants and activities to try later in our stay." "Eleanor could not have been more helpful, pleasant and yet professional. We actually went on 3 photo tours and not only did we learn how to take better pictures but we had seen parts of the island that we would have never seen on our own. She provides you with insight as to how you might want to set up your, exposure, you name it, so when you are done, you are amazed at what you, as an amateur photographer, was able to create! Great experience!" "My daughter and I were in Nantucket for a day trip. We booked a 2 hour photo tour with Eleanor and it was the best. She picked us up as we got off the boat.She is so nice and easy going. Gave us great tips and showed us parts of the island we would have never gotten to see. If you wanted to stop somewhere she was willing to do so. This is a must do when in Nantucket, it's the best 2-4 hours you'll spend and get alot of information regarding the island. I almost wished the tour hadn't gone by so fast, Eleanor is a pure joy." "Eleanor was a total rock star and both my wife and I had a GREAT time! She not only knows the history of the island, but her skill and communications abilities are superb! Eleanor was classy, knowledgeable and made for an AWESOME evening learning about photography and Nantucket! Highly recommend for everyone - families, parents, spouses ... great stuff!!!!" "Although a cloud burst kept coming and we were soaked by the time Eleanor picked us up near downtown, her approach is positive and very flexible to our interests. Normally a custom trip like this on Martha's Vineyard was going to be around $300. But here in Nantucket much less and more informative. The plus is the photography "bent" . Ask Eleanor to show you some of her shots , she knows what's she's doing. Her photographic images are excellent. For most of the world a "selfie" on a cell phone is as far as it goes when it comes to photographic skill. If you travel and want better long term memories of the events of your life..... Eleanor will make Nantucket your best experience by helping you capture better photos." "Eleanor picked me up at the Stop & Shop parking lot on Salem St. as I had come into Nantucket by boat. Instantly felt at ease and conversation flowed. We headed out to various spots in Madeket and spent a couple hours shooting at various destinations. Have taken almost all my photos on auto so really enjoyed learning the ISO, shutter speed, and aperture functions over again -- how many times can I ask the same question about depth of field without trying her patience.........many! Would definitely recommend. Knowing I really liked birds as well as sunsets she geared the shoot to my preference. Thank you for a great time - see you on my next visit." "Eleanor was the perfect tour guide for our group of teens and kids! We all loved learning photography/editing tips from her and we were able to see most of the island in a short amount of time. It is the easiest and most fun way to see Nantucket in a day. She has a passion for the island and will make any visitor fall in love with it too. It was a beautiful tour led by a fantastic person!" "The Capture Nantucket photo excursion is a must if you love taking photos and also want a terrific tour of the island. Eleanor will tailor your experience to just what you want to see and capture. A fantastic experience and learned so much about taking photos with our iPhones as well as editing. Can't say enough great things about this experience!!! We already plan to book a longer excursion the next time we visit Nantucket." "Eleanor was a delight and so easy to work with. We were a group of 6 women wanting to see the beauty of Sconset and learn to take some awesome photos with Snapseed editing. Everyone was quite happy at the end of our morning tour. I would highly recommend doing this." "Eleanor made this the highlight of my son's trip to Nantucket! She was extremely accommodating and he learned so much from her. Door to door service and awesome muffins and coffee didn't hurt either. I highly recommend any excursion with Eleanor!!" "The name says it all. What a beautiful tour! Eleanor made our stay in Nantucket most memorable. The pictures are amazing and would highly recommend this to anyone who loves nature, architecture or just a love of photography. We will definitely go back to Nantucket and take one of her other tours." "Eleanor is easily one of the nicest people that I've ever met. She picked me up at my door with coffee and donuts from a local shop to get our morning going and immediately showed that she loved Nantucket and knew a lot about it. We went on the Miacomet Nature Walk and she clearly knew her way around the beautiful location very well. Throughout the two hours we spent together, she taught me tips on using my own camera, how to capture and look at scenes in a new way, and how to enhance my photos using the snap seed app on my phone. She was also able to recommend a very good editing software for my computer. We had a lot of fun and it was very easy to talk to her about both photography and other things such as travel and books. 10/10 would recommend to anyone interested in seeing the island from a great person's point of view. Thanks Eleanor!" "Eleanor was so great and accommodating. She picked me up from the first ferry onto the island and we headed out to take pictures of the island with some magical light. Taking the time to get out of the car and walk around to take pictures gave me an appreciation for the island that I wouldn't have gotten with any other tour. I took one of the other tours as well and you don't get much opportunity to get out of the vehicle for photos. Highly recommend this experience for anyone visiting the island whether you're a photographer (any level) or someone that just wants to get a great perspective of this incredible place." "Our morning photography tour with Eleanor was excellent! She was waiting for us at the dock when our ferry arrived with coffee and a smiling face.She is very knowledgeable about the island and also about getting the best results with my photography. We visited a couple of lighthouses, the oldest house on the island, a windmill and some village areas that had wonderful gardens. All stunning locations, especially the walk along the cliffs. Eleanor provided the perfect balance between suggesting ways to get the best shots while still leaving heaps of room for my own creativity. She even got her camera out and shot with me, with made it even more fun to see things through her eyes. This was an excellent enjoyable experience and also great value and I'd definitely recommend it. Thanks Eleanor!"